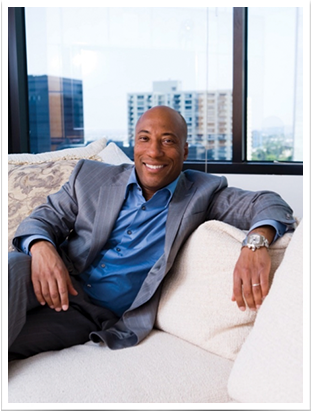 In 1993, comedian, producer, media mogul, and philanthropist Byron Allen founded his Los Angeles-based global media company, Entertainment Studios. The company has additional offices in New York, Chicago, Atlanta, and Raleigh. Allen now owns one of the largest cable network portfolios in the industry, featuring ten, 24-hour HD television networks (THE WEATHER CHANNEL, COMEDY.TV, CARS.TV, ES.TV, JUSTICECENTRAL.TV, MYDESTINATION.TV, PETS.TV, RECIPE.TV, LOCAL NOW, and THE WEATHER CHANNEL EN ESPAÑOL). The company continues to produce and distributing Emmy Award-winning and nominated shows, while also selling advertising for 43 broadcast and cable television programs. Entertainment Studios has one of the largest libraries of family and advertiser-friendly lifestyle content in the world. Further distinguishing Entertainment Studios is its status as the first African-American owned multi-platform media studio producing and distributing wide-release motion pictures and content for all platforms. In 2015, Allen purchased Freestyle Releasing, now called Entertainment Studios Motion Pictures, a full-service theatrical movie distribution company. Entertainment Studios Motion Pictures released 2017’s highest-grossing independent movie, the shark thriller 47 METERS DOWN. In 2018, Entertainment Studios Motion Pictures released the critically-acclaimed and commercially successful Western HOSTILES and the historic mystery-thriller CHAPPAQUIDDICK. Upcoming releases include the animated feature ARCTIC DOGS starring Jeremy Renner, Heidi Klum, Alec Baldwin, and Anjelica Huston, and the sequel to 47 METERS DOWN — 47 METERS DOWN: UNCAGED. The digital distribution unit of Entertainment Studios Motion Pictures, Freestyle Digital Media, is a premiere multi-platform distributor with direct partnerships across all major cable, digital and streaming platforms. Capitalizing on a robust infrastructure, proven track record and a veteran sales team, Freestyle Digital Media is a true home for independent films. In 2016, Entertainment Studios purchased TheGrio, a digital, video-centric news platform devoted to providing compelling entertainment, news and lifestyle content for African-Americans. TheGrio features aggregated and original video packages, news articles, and blogs on topics that include breaking news, politics, health, business, and entertainment and remains focused on curating engaging digital content and currently has more than 20 million annual visitors. In the spring of 2018, Byron Allen acquired the #1 weather news television network, The Weather Channel. In 2018, The Weather Channel was named the 2018 Harris Poll EquiTrend TV News Brand for the eighth consecutive year. It also deployed cutting-edge storytelling with its IMR (Immersive Mixed Reality) technology which draws viewers into detailed and visually stunning weather and climate events. In 2019, Byron Allen announced the launch of The Weather Channel en Español which is slated for launch in 2020. Building even stronger connections with consumers nationwide, Entertainment Studios/The Weather Channel will soon also launch Local Now, an engaging OTT, mobile app and digital streaming network that delivers fresh lifestyle news, weather, traffic and entertainment. Local Now is powered by The Weather Channel technology which was a defining factor that attracted Allen and his executive team as they acquired the 36 year old, all-American brand.